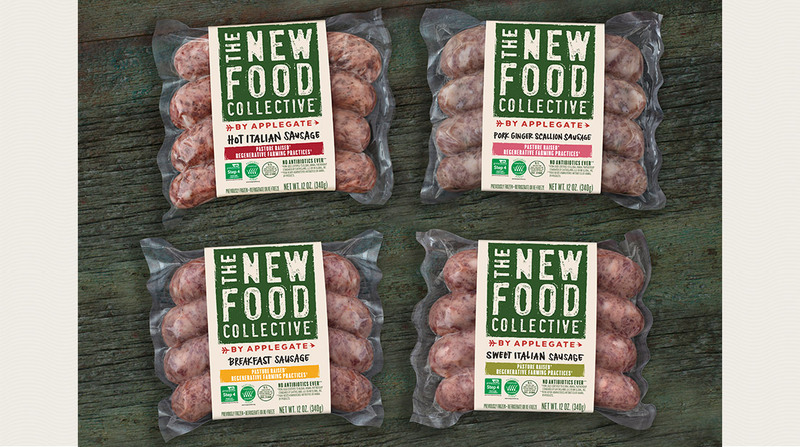 Applegate Farms, L.L.C., a wholly owned subsidiary of Hormel Foods Corp., is launching The New Food Collective, a premium brand featuring pasture-raised meats and small-batch production methods. The launch includes a line of fresh sausages made with certified grass-fed pork. The brand sources meat from small farms in Georgia, Kentucky and Missouri that use regenerative agricultural practices, according to the company. The pork in the sausages is the first to be certified by the American Grassfed Association, which mandates that hogs have maximum access to forage and graze in the woods and pasture. The New Food Collective line will debut at select Whole Foods Market stores in the Chicago area. Products include sweet Italian pork sausage with fennel, sea salt and pepper; hot Italian pork sausage with fennel seeds, chili flakes and cayenne; ginger-scallion pork sausage; and breakfast sausage, featuring salty, sweet and spicy notes. The Dish On Travel With Celebrity Chef Scott Conant Extra-chunk Skippy peanut butter is one of my favorite things in life.